Squirtle Squad Elite Created 6/3/10! Owned and Created By Pokemon Z RPG! Now Recruiting! Do You Dare Role Play With Us? Welcome to the Squirtle Squad Elite! What exactly is the Squirtle Squad Elite? 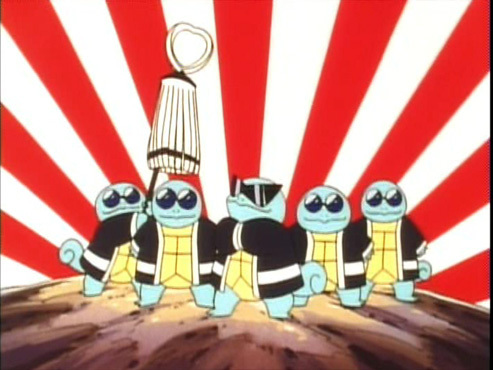 The Squirtle Squad Elite is a group of Squirtle personas where almost anyone can join in the fun and role play! As long as you fill out the form as shown above and follow my rules, you are good to go. Missions are jobs officially assigned to you by the leader, Little Squirt in which you gain experience, level up, and rank up based on how Little Squirt thinks you did on your performance. What is "Free Play" mode? Free Play mode is the period of time in which no missions have been assigned and during the time you are just roaming around the HQ, doing unofficial jobs or during the time when Little Squirt is writing a report. What are "Free Play Tasks"? Free Play Tasks are unofficial missions that take place in the middle of Free Play mode. Things like a teammate getting captured, enemies infiltrating the HQ, and a random problem occuring are all things that would be considered Free Play Tasks that you would have to deal with. You also gain experience here, just like in Missions. Jobs are what you are known as in the Squirtle Squad Elite. For instance the Squad Engineer would be a job. The Squad Engineer would have to do things like repairing things that need to be fixed and building things for the team. What are "Role Play Items"? Role Play Items are different weapons, items, and equipment found during the Role Play. However, it is up to the leader to decide what items are found and what items aren't found. This is because members of the Squad could say "Hey, I found Zeus's lightning bolt!" and obtain god-like powers which would obviously be unfair to your teammates. 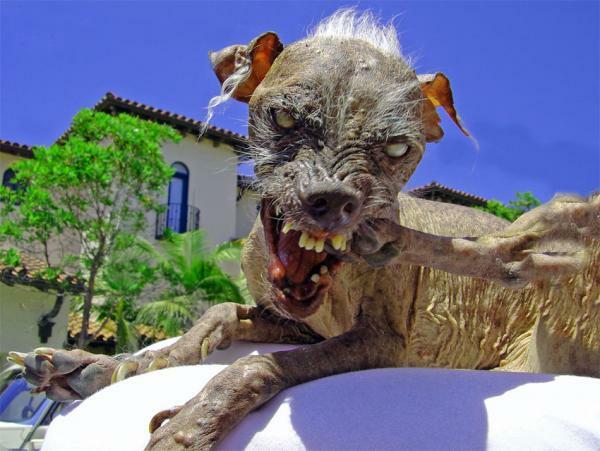 Pets are creatures and animals that you may find during Free Play mode, Missions, or in the HQ that you may want to keep. If I let you keep them, you are allowed to take them with you on your adventures. However, you can only take one pet with you on your Missions at a time, the other must stay at the HQ. Abilities are skills unique to each Squirtle in the Squirtle Squad Elite. Examples are magic, telekenisis, hypnosis, karate and others. 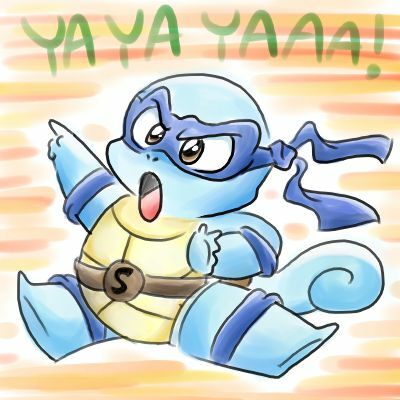 Each Squirtle will start out with one abilitiy, but as the team grows stronger, Little Squirt will teach and give the Squad new abilities. What will the leader be doing while the Squad is out on missions? Little Squirt will occasionally come and help out on the Missions when the Squad is in trouble. But when he is not, Little Squirt is constantly noting the Squad's progress and calling them to inform them on important stuff in their Missions. Little Squirt will also play as a sort of narrator, telling when new items can be found and new abilities are learned. Not only does he do this, but he also role plays as some of the bad guys and supporting characters as well! Abilities: Flying (wings are hidden in shell), and shoots lasers from eyes when glasses are taken off and eyes are opened. Skills: Natural Leader, Skilled Fighter, and more. Tagline: "I live for the team and die for the team." 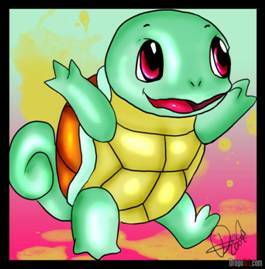 Description: Little Squirt spent many of his days leading the original Squirtle Squad to fight evil and help the pure, but eventually the group was forced to split apart. 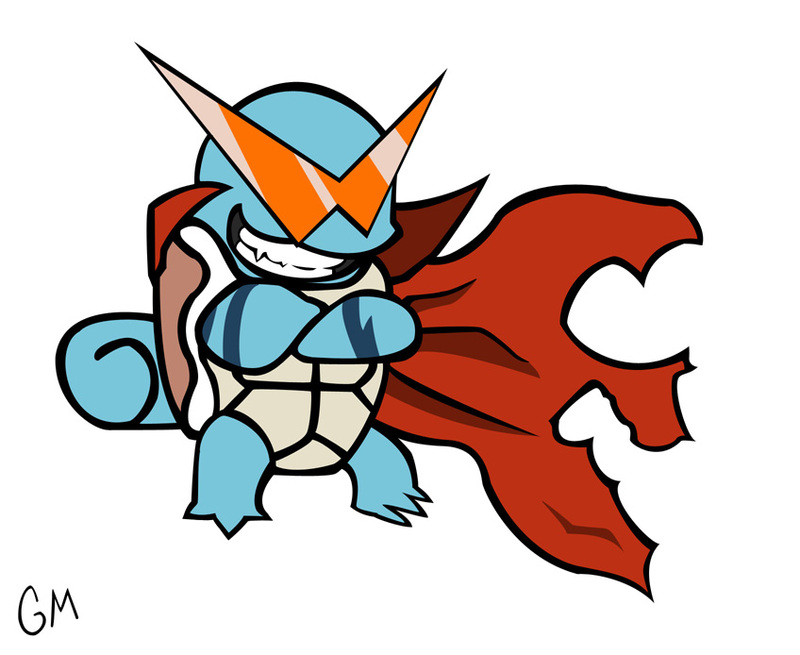 Now, Little Squirt returns to start the Squirtle Squad Elite, in hopes of forming the greatest crime-fighting group of Pokemon that ever lived. Description: Kouzetsu is a powerful Squirtle who can smite any enemies in his path. He makes friends very easily, but can also gets distracted very easily. I Joined the Squad: To defend the weak. Tagline: "Face it, if crime didn't pay, there wouldn't be criminals- wait, we're supposed to be the good guys...."
Description: Very quiet, Lumi grew up on and around Route 11. After traveling from city to city using his hypnosis skills to rip off tourists and locals alike of their sweet, sweet moneys, he joined the Squirtle Squad after a chance encounter with Little Squirt convinced him to change his ways for the better. I Joined the Squad: To help people in need of a hero. Tagline: "I slice and dice evil with the tips of my blades." Description: He used to fight alone and defeated many villains but now that the villains are a lot stronger, he decided he couldn't do it alone so he joined the Squrtle Squad Elite. Skills: Good at Hunting, stealth, and is a quick learner. 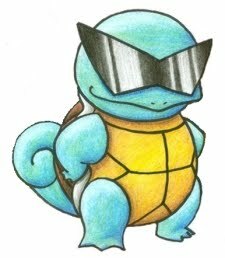 Tagline "Not dear to me, don't care..."
Description: Just your average Squirtle, with big hopes in the world. Originally, he was part of a circus crew that traveled the Sinnoh Region performing. He fled because he couldn't take the humiliation. He wanted to be stronger in life. When he fled, he came across and old man, and the man vowed to teach Private swordsmanship. After Private became very good at this, his master disappeared one day. This didn't affect his life much, but he did learn how to fight. Because of his circus past, he has a hell lot of humor in him, and he'll spend most of the time saying corny puns. 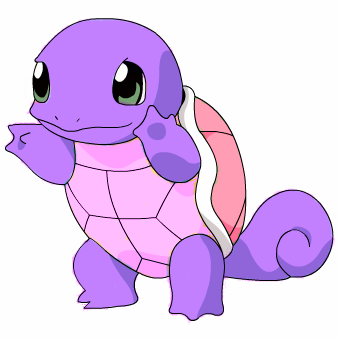 He heard about the Squirlte Squad one day while chatting with his friends, and he got interested. "Maybe this will be my true test, to see if my skills payed off ... "
I Joined the Squad: To become what I have been avoiding. Tagline: "I fight who I am." 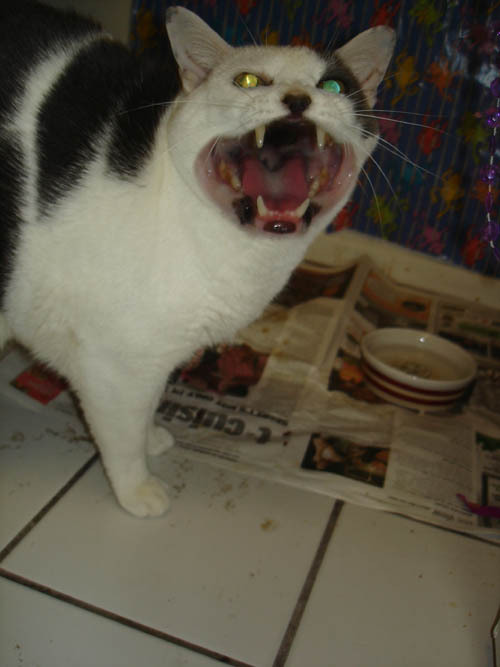 Description: Used to be a villian, but now is trying to do good.